Copyright © 1997 Balmoral Software (http://www.balmoralsoftware.com). Portions copyright © 1995 LucasArts Entertainment Company. All rights reserved. Republication, redistribution or conversion is expressly prohibited without the prior written consent of Balmoral Software. Contents subject to change! For the latest information, see http://www.balmoralsoftware.com. 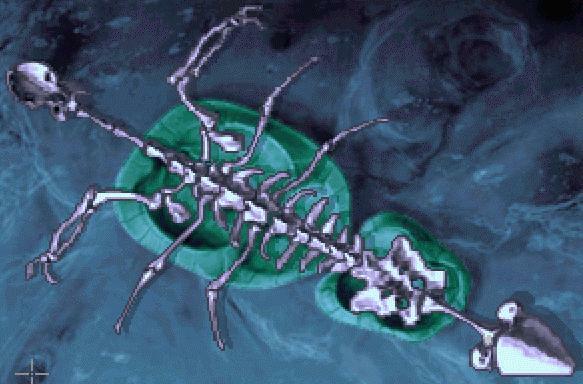 The Dig is an interesting 1995 sci-fi adventure game that can now be obtained at discount. It has excellent background music that really sets the atmosphere for the alien world your character explores. Ambient sounds are particularly noteworthy; they include, for example, realistic whistling wind, ocean waves, and footsteps that are suitably gritty and echoing. The voice acting is quite good, sounding authentic and professional, with some enjoyable humor popping up occasionally in the banter between the characters. Graphics are in the low-res, hand-painted style of Monkey Island, but their limitations don't really detract from the overall enjoyment of the game. The overall plot, attributed to Steven Spielberg, is quite engrossing and retains consistency throughout the game. Many of the tasks your character must perform involve finding and using inventory items, so much of the game activity centers on clicking on well-identified hotspots to see what happens. Gameplay is rather single-threaded throughout, with progress often halted until a particular trigger event occurs. The game would have been more enjoyable and complex if alternatives for solving problems were available. With its top-notch soundtrack and acting, The Dig will be an enjoyable gaming experience, especially for science fiction fans. To talk to someone, either click on them (if present) or use the PenUltimate communicator. Icons representing various dialogue choices will appear at the bottom of the screen. Click on one of them to discuss the subject. A dialogue icon will "blue out" when no further dialogue on that subject is possible. To repeat dialogue, re-initiate the conversation. Click on the "i" logo at lower left to bring up inventory (or simply right-click the mouse). Additional details on inventory items can be obtained by using the Examine tool in the upper-left corner of the inventory display. On the maps, screens requiring scrolling are indicated by double borders. Light bridges are identified by dots, and trams by dashes. The Esc key can be used to skip some animations and character dialogues. Not all details are shown in the walkthrough - just the essential ones. Lots of hotspots and dialogue options provide interesting backstory items and add to the atmosphere and character development. Enter through the open door and descend to a "tram stop"